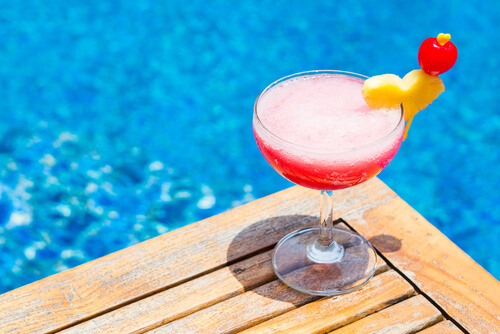 When it comes to the perfect hen party, there is nothing better than a cocktail or 5! 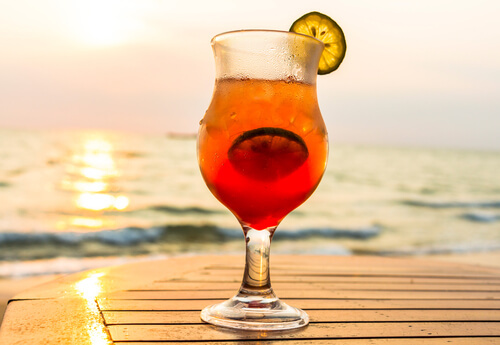 Whether your guests are addicted to a tequila sunrise or prefer the classic cosmopolitan we’ve searched high and low for the best recipes for you. Our Butlers with Bums ten top cocktails that will go down well at any hen party. 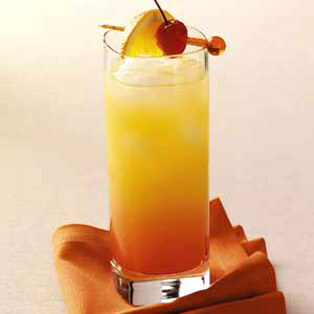 How to make it: Pour 2 measures of tequila and 4 measures of orange juice into a cocktail shaker to mix. Add ice to a wine or long glass. Pour the mixed tequila and orange juice over the ice. Add a measure of grenadine and leave to settle for a minute to get the sunset effect. How to make it: Take four strawberries, 2 tsp sugar, 1 ½ measures of white rum, 1 measure strawberry liqueur and ¼ measure of lime juice and place them in a cocktail shaker, mash the strawberries using the end of a rolling pin. Place the lid on the cocktail shaker and shake for about a minute. Serve in martini glasses with a half strawberry as a garnish. 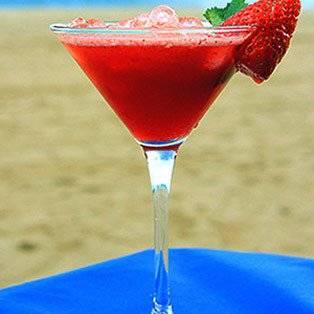 You can also choose to freeze the cocktail instead of serving it straight away to make frozen strawberry daiquiris. How to make it: For proper margaritas first chill the classes by filling them with ice. Take 1 measure of tequila, ½ measure of triple sec, ½ measure of lime juice and the ice and place them in the cocktail shaker. Shake to mix. 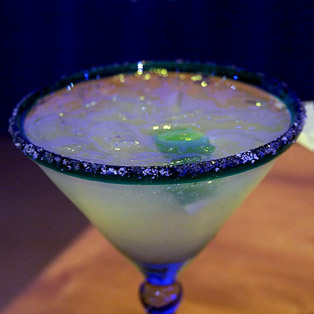 Take a lime wedge, run it around the rim of each glass and then dip the rim of the glasses in salt. Strain the contents of the cocktail shaker into the glasses to serve. How to make it: Take 1 measure of vodka, 1 measure of tequila, 1 measure of run, 1 measure of gin, 1 measure of triple sec and 1 ½ measures of sweet and sour mix and add to a cocktail shaker. Shake to mix. Pour into a long glass over ice and add a splash of coke to serve. Garnish with fresh lemon. How to make it: Take 2 parts white rum (most commonly Bacardi) and pour into a tall glass over cubed and crushed ice. 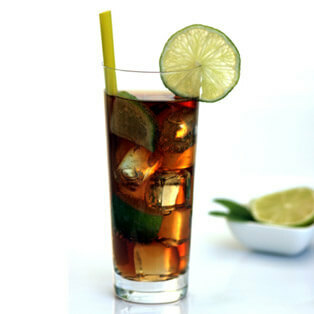 Add ½ a fresh lime, 12 fresh mint leaves, 2 heaped spoons of caster sugar and a dash of soda water to the rum and ice. Mix with a spoon until the sugar has dissolved and garnish with a sprig of fresh mint. How to make it: Take a cocktail shaker and a 1 ½ measures of gin, ½ measure of cherry heering, ¼ measure Cointreau, ¼ measure Benedictine, 4 measures of pineapple juice, ½ measure of lime, ½ measure of grenadine and a dash of bitters and shake to mix. Once shaken pour over ice in martini glasses to serve with a pineapple wedge as a garnish. 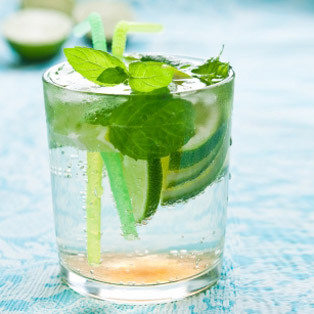 How to make it: Get a jug with ice in it, chop up any of the choice of fruit, the cucumber and the mint and add it to the jug. 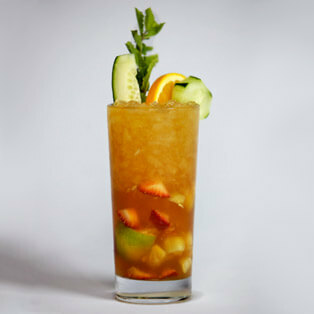 Pour in at least 250ml of Pimm’s and add 1 litre of lemonade to the mix. Leave for five minutes until the fruit flavours and Pimm’s have had a chance to mix together and serve. How to make it: Take ice and add to a large jug. Pour in 1 ¼ measures of vodka, 1 ¼ measures of peach schnapps, ½ measure of crème de cassis, 4 measures of cranberry juice and 2 measures of orange juice and mix together. Add ice to glasses to serve. How to make it: Take 1 measure of gin, the juice of half a lemon, 2 measures of soda water, 2 tsps caster sugar and mix together in a long glass using a spoon. 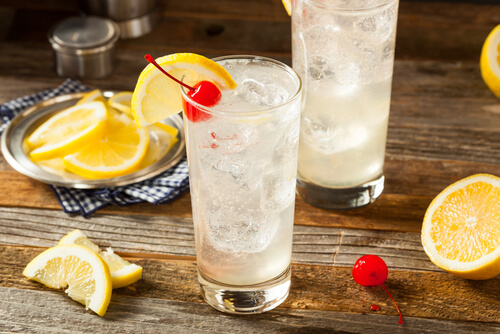 Add ice and a lemon wedge, to serve top up with soda water. 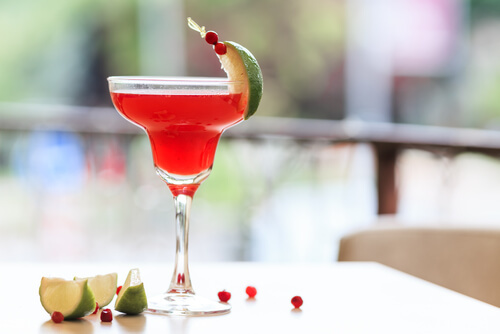 How to make it: Take 2 measures of vodka, ½ measure of triple sec, 1 measure of cranberry juice, ½ measure of fresh lime juice and add to a cocktail shaker. Shake to mix. Add ice to martini glasses and pour contents of cocktail shaker over to serve. Add the zest of an orange as garnish, or if you want to add the expert touch, a twist of orange peel.